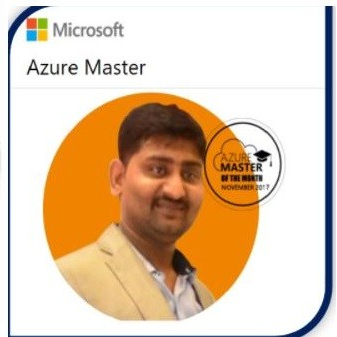 I am Happy and surprised to see , Microsoft commitments towards improvements of the services are quite amazing, I am using MS Azure services since when it is classic model (ASM) and it’s has very limited feature but when MS has started his “Resource Manager Journey”, It’s improving the lots of services and adding new feature day on day. I am little bit surprise with this new Feature “Run Command” which is enable in Azure VMs Operations properties ,it’s will provide the “Powershell to execute the command, can enable the Administrator accounts and even more you can reset the password , set the remote ports” and many more which can’t be done through portal earlier. Which will generally help to troubleshot the VMs related query. Now you can easily get the IP configuration from the portal and enables lots of new below mention things. Below are list of the commands. I am writing in my blogs how you can enable the those features. Step:1 Run the Powershell script . Click on the VMs which you want to enable the Run Commands. Co to Operations and select the Run Command. Select the PowerShell script to Run. Please Write or Past the PowerShell script . Run the Powershell Commands for the same. You will get an output in “Black” Screen. Step:2 Enabling Admin Accounts . If you missed or forget an user ID and password or required to enable the run command you can enable it from the portal. Click on Run , your admin account will be enabled. Enable-PSRemoting cmdlet help the computer to receive Windows PowerShell remote commands. Then remote PS command will get enabled. In Most of the cases if VMs are down due to some changes we are unable to track the change in that case you will get IPConfig/All details from this command. If you want to what is your VMs RDP setting you can run this commandlets. If you forget your administrator user account password, then using this command you can reset the password. If some has changed the RDP ports , then you can reset from the below commands.